BBCS offers a band program to grades 5-12. This includes group instruction in all standard band instruments during the late elementary years. At the end of the school year, 4th graders have the opportunity to hear and to try out different band instruments. During the summer months, the director contacts each family about the student’s choice and offers a free lesson to each student entering the band program. Elementary bands meet twice per week and perform two concerts per year as well as participate in the GACS fine arts competitions. High school band meets four times per week and performs several concerts throughout the year. Members also compete at GACS and AACS fine arts programs. 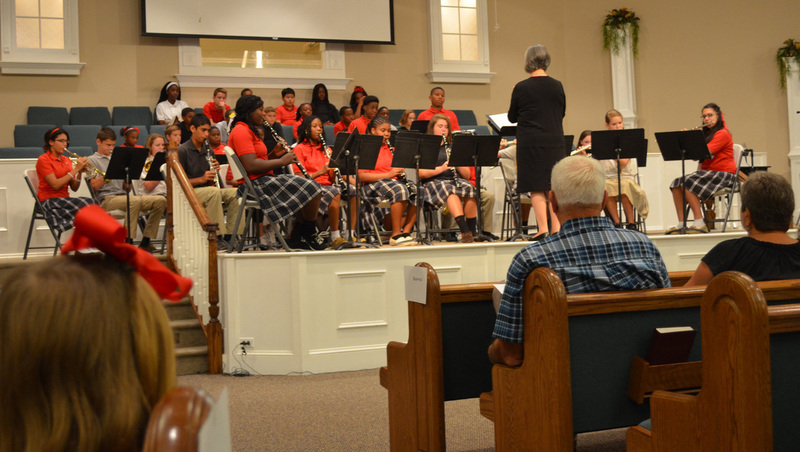 The BBCS Concert Band also performs at the annual Christmas concert, fine arts showcase, spring music concert, high school graduation, and other concert opportunities such as the Festival of Trees and at the Georgia state capitol.